Today, I will review two famous DTH (Direct to Home) cable services in India and I will further tell which one is better and why? The two DTH services, I am going to talk about are Tata sky and Dish TV. Both these DTH services are very famous in India and we can easily notice them at many Indian rooftops. DishTV is one of the first and oldest DTH service providers in India and they have the maximum market share; however, due to steep competition from other DTH players, it has lost lots of its ground. I have good experience of both of these services because I am using them simultaneously. 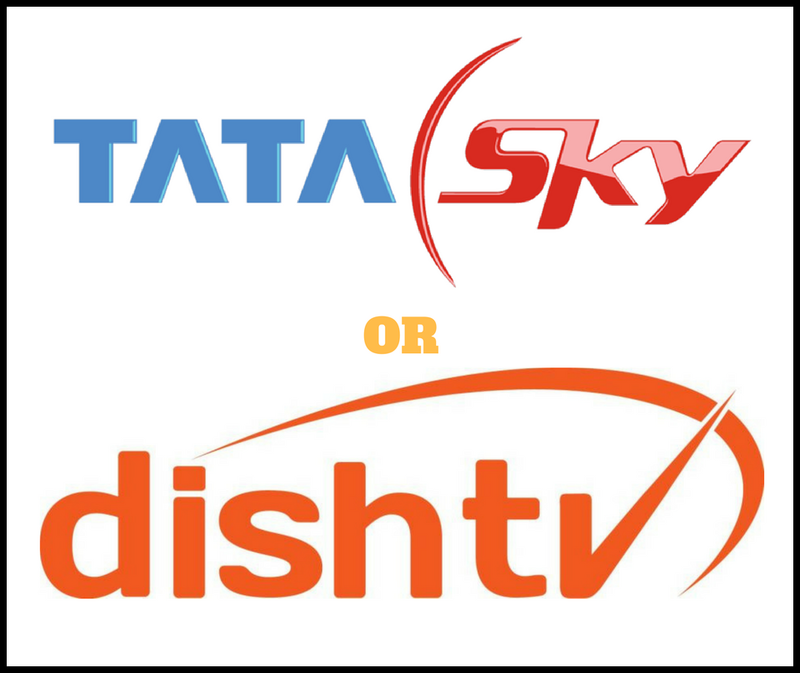 If we start comparing them then we will find that both are good service providers; however, Tata Sky scores over the DishTV when it comes to free offers/programs, innovative ideas and overall availability of TV channels. Tata Sky offers more numbers of innovative products like Live Darshans, active channels, learning channels etc which are either missing from the Dish TV or their numbers are very less. Moreover, it is much convenient to use the mobile site of Tata sky to change the monthly pack or add/delete TV channels. Tata sky also scores when we just want to do a small recharge like Rs 20 only because this option is not available with Dish TV and you need to do the minimum amount of recharge. On the other hand, Dish TV scores when we look for live radios which are not available on Tata Sky platform. Though both Tata Sky and Dish TV comes with comparable options and from time to time their offers change. However, I found Tata Sky more convenient and useful over the Dish TV for enjoying my favorite TV channels, therefore, my suggestion is for Tata Sky.